Saveris Pt D - 1-channel temperature radio probe, with display | Řízení procesů GMP | Léky a zdraví - Farmaceutický průmysl | Farmacie | Cílové skupiny | Testo, s.r.o. The high-precision testo Saveris Pt D radio probe is equipped with an external Pt100 probe connection. Its high level of measuring accuracy enables it to be used even in critical environments, where there are particular requirements in terms of the measuring technology. 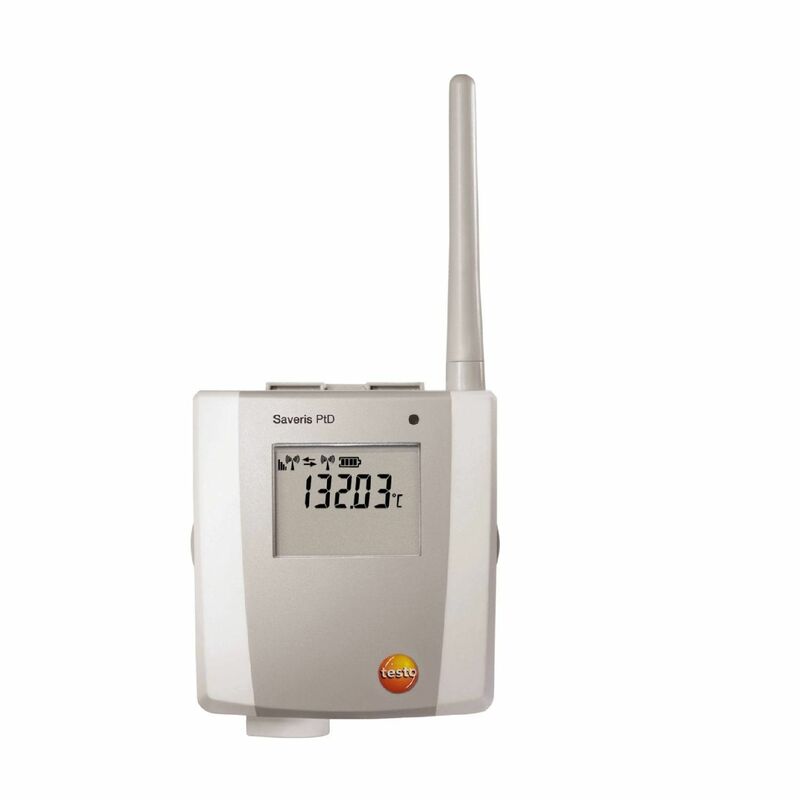 The testo Saveris Pt D radio probe has a data memory for 6,000 readings. The Pt D radio probe is also equipped with a display, showing the current measurement data, battery status, limit value violations and quality of the radio link. testo Saveris Pt D radio probe with 1 external Pt100 probe connection and display, radio frequency 868 MHz, including wall bracket, calibration protocol and 4 × AA alkaline manganese batteries.